On October 20, View joined Delta to celebrate the grand opening of its newest Delta Sky Club in the Seattle-Tacoma (Sea-Tac) International Airport. The new lounge (the second Delta Sky Club at Sea-Tac thanks to growing demand) includes View Dynamic Glass as one of the curated amenities Delta provides for the comfort of its guests. The more than 7,500 square foot installation showcases what a perfect fit View is for airports. It provides an enhanced passenger experience between flights by managing heat and glare from the sun, and enables travelers to enjoy uninterrupted views of the breathtaking surroundings, in this case Mount Rainier, Washington state’s tallest mountain. 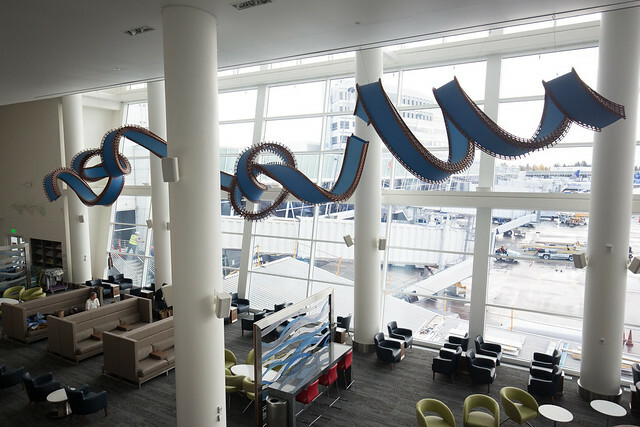 The stylish new Sea-Tac lounge ranks among the five largest Delta Sky Clubs at 21,000 square feet, and will comfortably seat 400 customers across two spacious levels. Research suggests that views and natural daylight help increase wellness for occupants, and this installation underscores Delta’s commitment to create a more thoughtful airport environment.